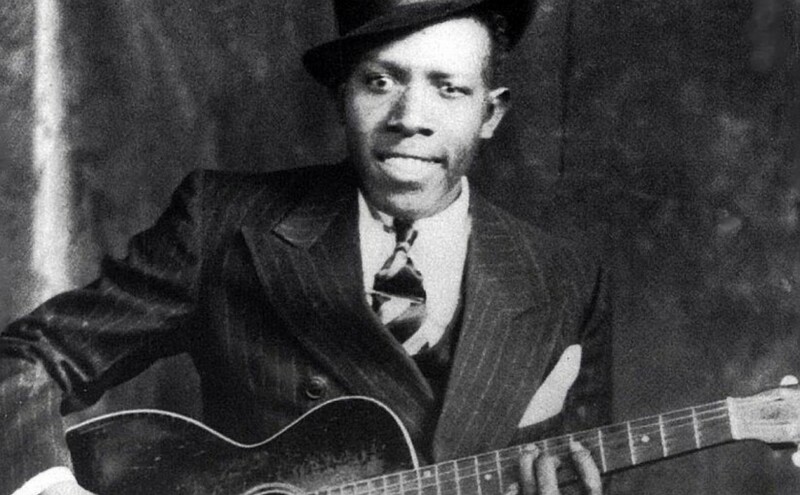 “Ramblin’ On My Mind” is a blues song recorded on November 23, 1936 in San Antonio, Texas by blues musician Robert Johnson. The song was originally released on 78 rpm format as Vocalion 03519 and ARC 7-05-81. Johnson performed the song in the key of E, and recorded two takes. Both takes were used for different pressings of both the Vocalion issue and the ARC issue. The song uses the melody made popular by the hit record M & O Blues by Walter Davis. Johnson composed two songs to this melody “Ramblin’ On My Mind” and When You Got A Good Friend with different musical approaches and different guitar tunings, although both were in the key of E. For “Ramblin’ On My Mind” he used an open tuning that allowed him to combine a boogie shuffle on the bass strings with bottleneck triplets on the treble strings. These slide triplets were model for Elmore James’s famous accompaniment to Dust My Broom. Ah got ramblin’ on mah mind. catch the first mail train Ah see (spokerì): Ah think Ah hear her comin’ now. catch that ole first mail train Ah see. and the child got the blues about me. with mah arm fold’ upped and cryin’. but she treats me so unkind. Ah got mean things ali on mah mind. well, she treats me so unkind.